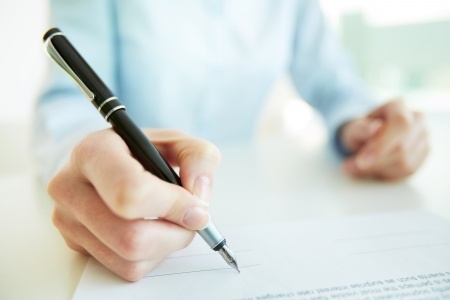 Understanding binding and non-binding provisions in a Letter of Intent (LOI) is important for anyone who works with business contracts. Here, we will review some of important information on LOIs and what you should look for when you are negotiating, drafting, and otherwise working with LOIs. 1. Ensure everyone is on the same page. The first important thing to determine is whether you are working with a binding or non-binding LOI. The United States, much of the EU, and many other countries around the world only recognize non-binding LOIs where both parties expressly agree to them. But what does this mean really? In practical terms, if you are negotiating or discussing a LOI with a potential supplier, distributor, or customer, you should always spell out that you intend the letter to be non-binding, and make sure you put this in writing (e-mail is fine!). In many cases, you and the other party will want some of the provisions to be binding, while others will be non-binding. Again, make sure everyone is clear, and put this in writing. Consider specifically including language that states, “The parties agree that the following provisions shall be binding” and “the parties agree that the following provisions shall be non-binding” directly in the LOI. 2. Use the mutually understood language. One of the best ways to make sure everyone understands which clauses are binding, and which are not, is to use the right kind of language that is understandable for all parties. Words like ‘shall’ or ‘require’ conveys a binding requirement, while words like ‘will’ or ‘may’ convey a future intent. Be cautious, however, that everyone understands this language. 3. Consider how you frame obligations to negotiate in the LOI. For example, if the LOI ‘requires’ or otherwise obligates the parties to negotiate the proposed terms in good faith, then arguably the entire LOI is binding. Carefully consider the language you use in the LOI with regard to negotiations, and what would happen if the parties fail to reach an agreement on the substance of the bargain. Could one have a claim against the other for bad faith or even breach of contract? 4. Consider your leverage when adding binding or non-binding clauses. On many levels, negotiating a contract can be a head game, but many parties to LOIs don’t place the same emphasis on them as they do on “real” contracts. For this reason, you might consider using binding and non-binding clauses in your LOI to your strategic advantage when you are negotiating the underlying contract itself. The other party may not review an LOI to the extent that you have, and you may have much better leverage on terms that were listed as binding in the LOI when you are negotiating the deal itself. 5. Finally: And from the Buyer’s Perspective: Consider the impact of issuing an LOI on your future leverage. I’ve had seller clients who have told me that once they receive an LOI from their customer, they don’t have the same sense of “urgency” to finalize the contract as they did prior to the LOI. In other words, they know that their customer has “skin in the game” and is unlikely to pull out unless a major problem occurs. Leverage is an important issue in LOIs!